Watch our story of how we came to own our Whidbey Island farm and the important role it plays in our restaurant located in the heart of our farmland. 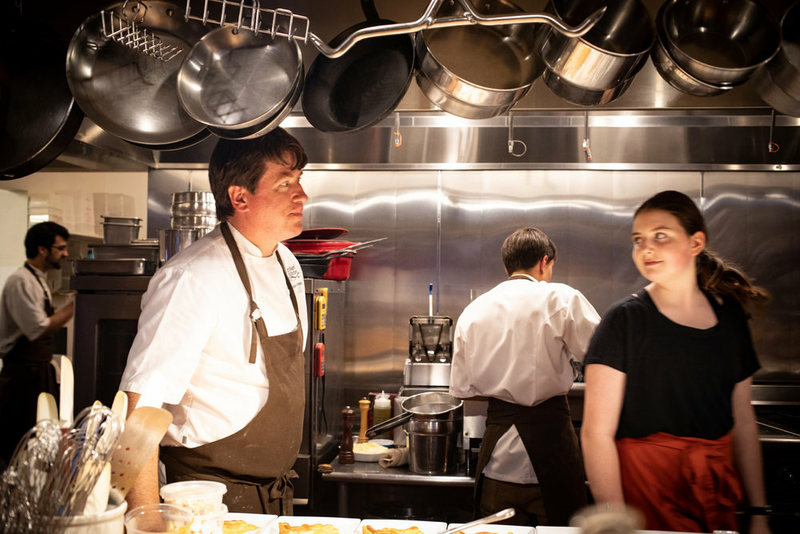 Our year-round restaurant hosts dinners, cooking classes and events focusing on Whidbey Island's bounty, Chef Vincent Nattress' deep knowledge of food and Tyla Nattress' passion and palate for wine. Dining with us is like being a favored guest at a dinner party. Each week we offer a new menu served at community tables from family-style platters. This dining experience is ideally suited to flexible, adventuresome diners who are happy to meet new people and spend time enjoying great food. Seating is limited so plan ahead! And be sure to check our website and like us on Facebook. 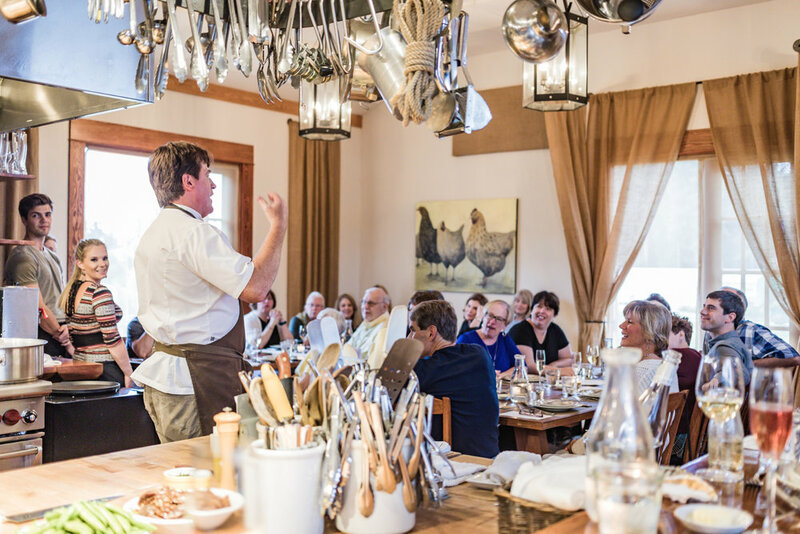 Join Vincent for hands-on cooking classes. We teach cooking classes, from Fall through Spring, in our beautiful open kitchen. Join Chef Vincent Nattress or one of our guest chefs. You'll get hands-on instruction and enjoy the meal you make along with a glass or two of wine.Our special events are highly anticipated. We know how to throw a great private party. We love helping our guests celebrate important events, so we offer private events year round. Birthdays, anniversaries, rehearsal dinners and business meetings—we do all the work so you don't have to do anything but enjoy your guests! Throughout the year, we offer special event dinners featuring a Guest Chef, winery or a special ingredient or simply to celebrate the change of seasons or a holiday. These events sell out quickly. Sign-up below to get our newsletter so you won't miss out. Join us. We look forward to feeding you!